We Live and Breathe Ducati. We Dream Ducati! 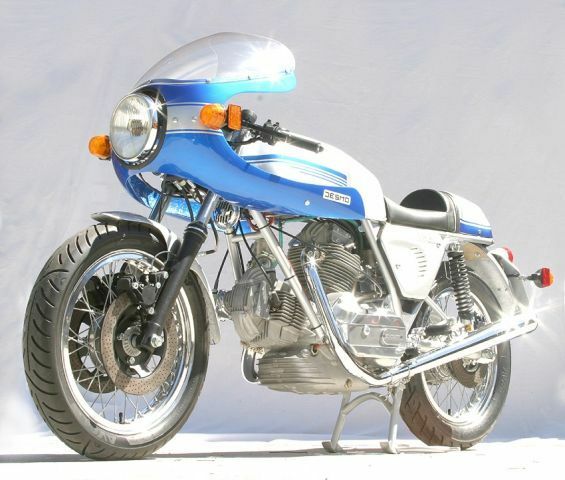 We have masses of reproduction parts, and go-faster bits, and books of bits, and bits that come standard on Moto Guzzi, Laverda, Aprilia and many other fine Italian Motorcycles. Of course we also stock late model Ducati parts for all the belt drive models including 748, 916, 996, Monster, ST2-3-4, Sportclassic, Supersport, Hypermotard etc – lots of high performance parts and trick accessories for the two and four valve desmo V-twins. We build them. We ride them. We race them. We love Ducati. We dream Ducati.